Visit Rockingham Beach and South Beach Recreation Reserve for some beach relaxation. 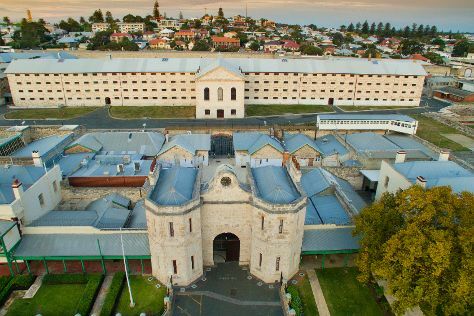 Deepen your sense of the past at sights like Fremantle Prison and Old Court House Law Museum. Explore Perth's surroundings by going to Waterskiing & Jetskiing (in Mandurah), Warnbro Beach (in Warnbro) and Point Peron (in Rockingham). Spend the 3rd (Fri) among aquatic life with a scuba or snorkeling tour. There's still lots to do: look for all kinds of wild species at Matilda Bay Reserve, kick back and relax at Quinns Rocks Beach, contemplate the long history of The Perth Mint, and tour the pleasant surroundings at Trigg Beach. For more things to do, traveler tips, and more tourist information, use the Perth trip maker tool . If you are flying in from United States, the closest major airport is Perth International Airport. In April, daily temperatures in Perth can reach 80°F, while at night they dip to 56°F. Wrap up your sightseeing on the 4th (Sat) to allow time to travel back home.